Rob Clarke And The Wooltones – Are You Wooltoned? Are You Wooltoned? 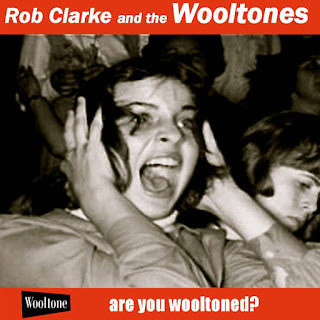 is being promoted as an introduction to Rob Clarke And The Wooltones but they’ve have already built a loyal following via an EP and several singles. The new 13-track album, available from Kool Kat Musik, gathers those previous releases together in one mind-altering package. Chances are, it will extend the Liverpool-based trio’s popularity to psych-rock and 1960s music fans around the globe. The layered vocals of “End Of The End” recall The Byrds and “Are You Wooltoned?” throws “Eight Miles High,” vintage Neil Young, and fuzzy guitar playing in the same blender. The echo-laden “Peas” is a fun romp while “Colours (Of The Sun)” feels like participating in a sacred ritual. The seductive “Our Business” is a treat for anyone who fondly remembers Norman Greenbaum, and The Wooltones add a dash of glam rock to it for good measure. 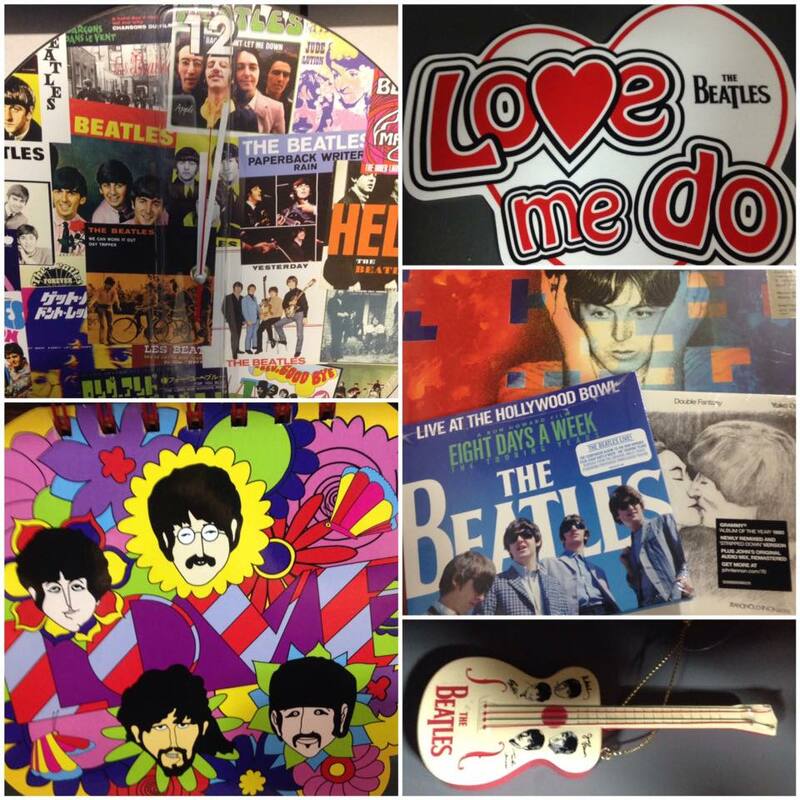 Photo montage from The Fest For Beatles Fans Facebook page. I didn’t have time to create the annual Broken Hearted Toy Holiday Shopping Guide on Thanksgiving, but I’m still hoping to scatter some gift-giving suggestions throughout the season. As in the past, the emphasis will be on entertainment-related items. You can purchase t-shirts, buttons, magnets, holiday songs, tour books, or other items from the websites of many recording artists. The official Rock And Roll Hall Of Fame website has assorted treasures based on artists who have been inducted, as well as exhibitions that have been held there. Sadly, the inductee t-shirt series seems to have sputtered to a stop. I was hoping to see a new batch of five or six every year. 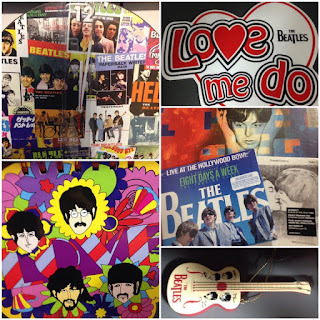 The Fest For Beatles Fans annual holiday catalog has 32 pages of Fab Four-inspired memorabilia, that includes t-shirts, cufflinks, bottle openers, lamps, socks, pens, dice, dart boards, jigsaw puzzles, plush dolls, lunch boxes, pajamas, watches, and umbrellas. Plus CDs, wall decor, and loads of books. If you’re not on the mailing list for the catalog, you can check out the Fest For Beatles Fans official website. In a perfect world, every band and solo artist would be able to offer such a wide range of swag to its fans. Musician Steve Dawson and journalist (Chicago Tribune and Chicago Sun-Times) Mark Caro plan to launch their Take It To The Bridge book in a big way at The Old Town School of Folk Music this Sunday night at 7:00 p.m. Subtitled Unlocking the Great Songs Inside You, this collaboration is aimed at explaining the art of songwriting in an informative and entertaining fashion. 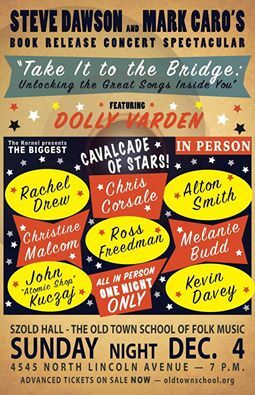 Dolly Varden, the critically acclaimed alt-rock/Americana band Dawson leads with his wife Diane Christiansen, will be performing, along with Rachel Drew, Chris Corsale, Alton Smith, Christine Malcom, Ross Freedman, Melanie Budd, John Kuczaj, and Kevin Davey. Tickets are already available. Best wishes to Laura Good for a full recovery after her recent brain surgery. Laura and her sister Linda have performed together and as solo acts over the years, and recently reunited as The Twigs on some recording projects. Judging from photos I’m seeing posted on Facebook, Bruce Springsteen met his share of Midwestern musicians while signing copies of his new Born To Run bio at Books A Million in downtown Chicago today. Congrats to Christopher David from Magatha Trysty, Mike Vanderbilt from The Romeros, and Terry Hackbarth from Trolley on being able to pose with The Boss. Black Friday Record Store Day takes place tomorrow, so be sure to hit your favorite record store early for one-of-a-kind vinyl treasures in seven, ten and twelve inch formats. Pretty much all genres will be available, including mainstream rock, punk, country, jazz, soul, classical, blues, heavy metal, rap, soundtracks, holiday, and techno. 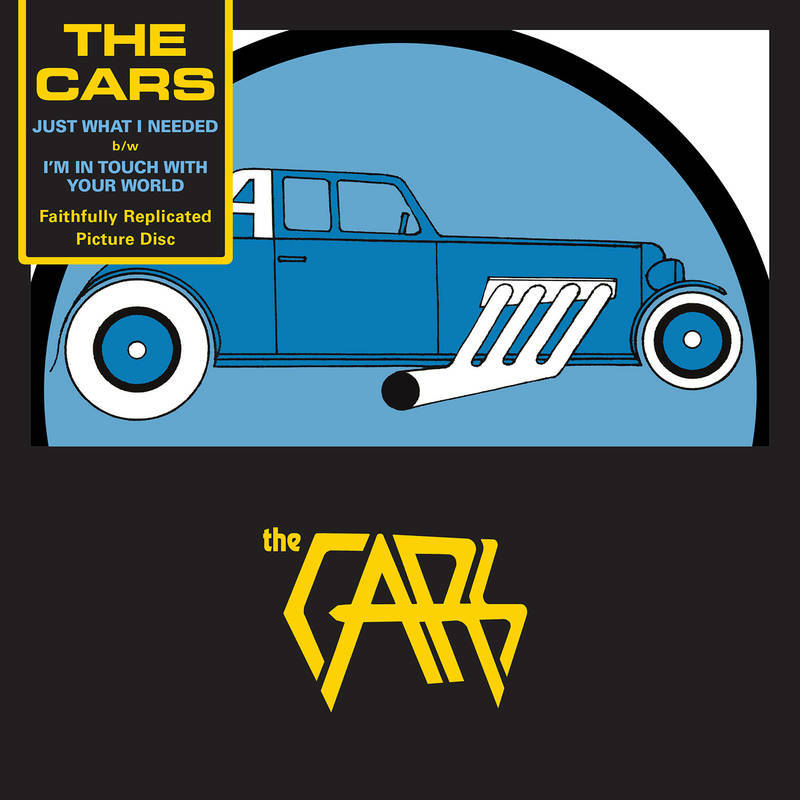 My personal wish list includes releases by The Bangles, The Ramones, The Monkees, The Kinks, The Rolling Stones, and The Cars. CAUDOG recording artist and Chicago music scene veteran Ellis Clark will be hosting a free Black Friday Record Store Day event at Val’s Halla Records in Oak Park tomorrow from 11:00 a.m. to 5:00 p.m. He’ll be joined by his band The Big Parade and special guest vocalist Ary Jeebie from the The Amazing Heebie Jeebies. Other guests scheduled include Country Doctors, featuring Doug Corcoran; Phoenix; Aethereal; Big Hair Trouble!, Ary Jeebie’s tribute to 1960s and ‘70s country; Phil Angotti; Rachel Drew And The Bitter Roots; Daniel Connolly; Charlie Crane; and The Dyes. Val's Halla Records will be open from 9:00 a.m. to 7:00 p.m.
Dave Davies from The Kinks will be bringing his first-rate backing band to The Arcada in St. Charles on April 8. I caught a Dave Davies show at Taste Of Lincoln Avenue a few years back and it was amazing. The Greg Kihn Band will be at that same venue on March 10. The Chicago Pop Culture Show And Sale takes place tomorrow and Saturday, November 25 and 26, at the Pheasant Run Mega Center in St. Charles. There will lots of comics, toys, games, and memorabilia for holiday gift shopping, as well as special guests and cosplay. The event will also serves as a publishers and artists convention. Tired But Not Dead Yet! After an exhausting day of shopping, Chicago area music fans can celebrate their Black Friday bargain-hunting savvy by seeing The Bad Examples at FitzGerald’s in Berwyn. Last Friday, my wife Pam and I saw the Music On Stage production of A Christmas Story - The Musical at Cutting Hall in Palatine. It’s a fun show with talented singers and dancers, including several kids. The final shows will be staged this weekend. I can’t remember the last time The Handcuffs had club dates two weeks in a row, but they’ll be following last Saturday’s gig at Quenchers by performing with The Demerits and The Artist Formally Known As Vince this Saturday at Township. It will be a birthday celebration for Vince. As most Handcuffs fans know, drummer Brad Elvis is also a member of The Romantics. Mike Skill from that band will be a special guest at Saturday’s show. Damn right, I got the drumstick. Sopro Music’s 34th Annual Chicago All Star Thanksgiving Blues Revue will be held this Saturday, November 26 at Sullivan’s Night Club and Fine Dining Restaurant in Midlothian. The Chicago Horns will once again be on hand, along with special guest guitarist-vocalist Chainsaw Dupont. Other acts include Joey Drada, John Falstrom, Scott Bonshire, Frank Anastos, Wolfman, Doug Lee, Marty Binder, Billy King, Ed Neese, and Deb Seitz. The music starts at 9:00 p.m.
Two impressive local bands will join forces for a good cause when Dream Version and Bloom perform at the Protect Our Winters event being sponsored by New Belgium Brewing and Ben and Jerry’s on Wednesday, November 30 at Lincoln Hall. POW, a group working to raise awareness of the dangers of global warming, will have representatives on hand to explain their mission. There is a suggested $5.00 donation. Also coming up at Lincoln Hall, Chicago music scene veterans The Hemmingbirds will be doing a farewell show on Tuesday, December 29. They’ll be joined by Mutts, Archie Powell And The Exports, and Jesse W. Johnson. The Telepaths and whitewolfsonicprincess are hosting their annual Toys For Tots benefit at Red Line Tap on Sunday, December 3. The music starts at 7:00 p.m. and will feature KC Chronis; John Dalton; The Telepaths (with special guest Frank Carr); Steven Gilpin; The Darkroom Men; The Remember Knots; whitewolfsonicprincess (with special guest Tina Teske); Highway; Natalie Gaza; Noel (with Desiree Burcum); and 357s. WXRT’s ONXRT Live From The Archives Vol. 18 will be available at Chicago area Target stores and at Target online starting next Friday, December 2. Listeners who enjoy the FM station’s frequently played roster of current artists will likely be pleased, since Vol. 18 includes efforts from Leon Bridges, Nathaniel Rateliff and The Night Sweats, The Arcs, Avett Brothers, X Ambassadors, and The Record Company. Silverspun Pickups, Andrew Bird, Twin Peaks, and Los Lobos are also featured. It’s disappointing that all the tracks were recorded within the past two years, since I’d like to see some genuine WXRT archive stuff from much earlier concerts. This edition of Live From The Archives is supported by Blue Cross Blue Shield with proceeds benefitting Horizons for Youth—Scholarship Mentoring Community and Welcoming Center—Lutheran Social Services Of Illinois. Live ‘’78 is a low-fi trip back to the dawn of the punk and power pop genres. Available from the Kool Kat Musik label, it features the UK band The Monos! performing at the North East London Polytechnic club a few weeks before The Pretenders made their debut there. The Monos! released a few singles but broke up before they could record an entire album. This show was captured on a cassette recorder, but it’s worth enduring the primitive sound quality to experience catchy and hard-edged songs that otherwise would have been lost to obscurity. Note: there is currently an English band called The Monos that is unrelated to the late 1970s version. The driving beat and biting observations of “New York Girls” is reminiscent of Joe Jackson while “Pop Heart” and “Melt Away” have a classic power feel. “Ericafire,” introduced by the band as “a bit of reggae song,” is the only number that feels less than genuine. The Monos! masterfully blend social satire with great hooks on “Cathy’s Got A Girlfriend” and “Guitar Hero,” while “Shot Dead,” apparently a tale of a woman’s unsuccessful attempt to get past the Berlin Wall, has a more punk style intensity. “Difficult World” deals with navigating the perils of everyday life, and is described by the band as, “the one NME [New Musical Express] would like if they ever came to see us.” The musicians’ between-songs banter adds to the live club ambience and makes Live ’78 even more fun. 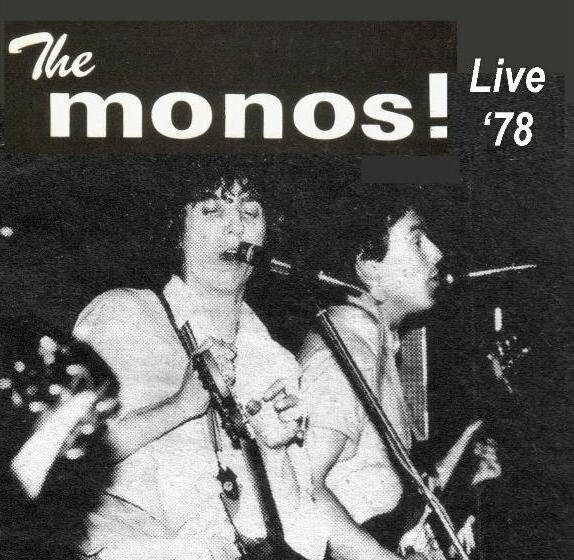 Still, it would be great if someone could unearth those early singles so we could hear how The Monos! sounded in the studio. Just a reminder about some fun things taking place on Thanksgiving Eve. tomorrow night at Chop Shop on North Avenue. They’ll be joined by critically acclaimed siblings White Mystery. Flesh Panthers, who switched from their usual manic punk rock to a more atmospheric approach on their new Willows Weep album, will also be on the bill. Comedian Bill Bullock opens the show. The Safes will be performing live early tomorrow on Fox Morning News. Also tomorrow night, Phil Angotti And Friends will be performing Paul McCartney’s Ram album at Reggie’s Chicago on State Street. Angotti has done his Ram tribute before, and has gained a good deal of expertise in honoring worthy artists in shows around Chicago. 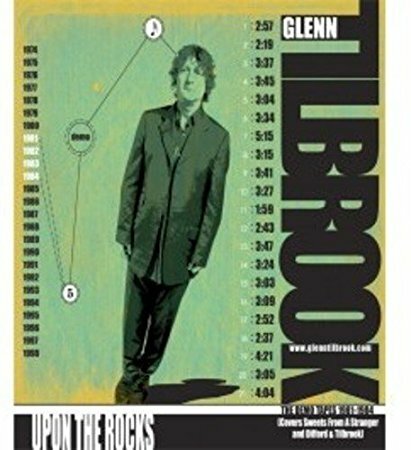 Mr. Blotto is also on the bill tomorrow night. And moving on to a post-Thanksgiving event, you can wrap up your Black Friday adventures by dropping by FitzGerald’s in Berwyn and singing along with “Not Dead Yet!” when The Bad Examples are performing that night. Musician/artist Graham Elvis will be showcasing his latest artwork today at the Pearls, Paintings And Prosecco Open House at Bourdage Pearls on Ravenswood Avenue. 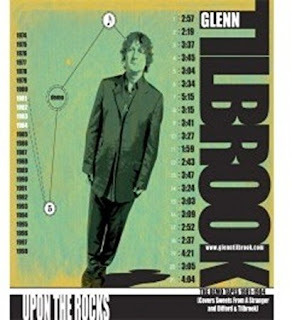 The Second Disc website recently had a post about Upon The Rocks, the fifth and final entry in Glenn Tilbrook’s series of Squeeze-related demos albums. This one concentrates on the band’s 1982 release Sweets From A Stranger, as well as the 1984 Difford And Tilbrook side project. The Second Disc also had news this week about the Blu-ray and DVD versions of Ron Howard’s Beatles documentary Eight Days A Week; a super deluxe, 5-CD box set of The Who’s My Generation album; and the various formats for R.E.M.’s 25th Anniversary Edition of Out Of Time. 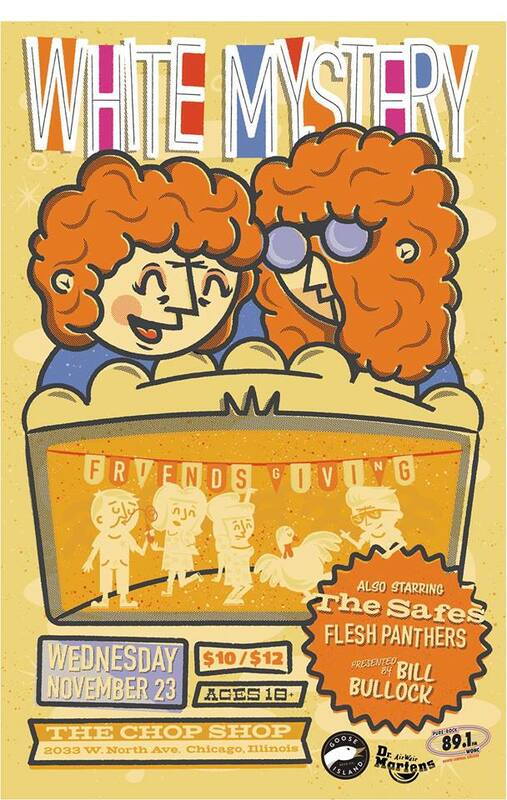 The Safes, a band that has adroitly mixed hard-edged melodies and harmony vocals with punk exuberance on a series of releases, will hold their annual pre-Thanksgiving bash Friendsgiving on Wednesday at Chop Shop on North Avenue. They’ll be joined by critically acclaimed siblings White Mystery. Flesh Panthers, who switched from their usual punk rock to a more atmospheric approach on their new Willows Weep album, will also be on the bill. Comedian Bill Bullock opens the show. The Safes will be performing live earlier that day on Fox Morning News. More pre- and post-Thanksgiving treats: Phil Angotti And Friends will be performing the entire Paul McCartney album Ram on Wednesday at Reggie’s Chicago on State Street. Mr. Blotto is also on the bill that night. You can wrap up your Black Friday shopping and then drop by FitzGerald’s in Berwyn to proclaim, “Not Dead Yet!” while The Bad Examples are performing that night. Walk Like A Humanitarian. The Bangles headlined the multi-act Music On A Mission benefit this past Thursday at the Casa Escobar venue in Malibu, CA. The event helped raise funds for Mending Kids, which brings life-saving surgical care to children around the world. Dream Version has just created a fun, Devo-style video for “Romance,” a track from its 2015 album Beginners. The catchy melody evokes Buddy Holly and the Chicago-based band adds energetic guitar strumming and harmony vocals. Dream Version and the indie rock/power pop trio Bloom will be performing at the Protect Our Winters event being sponsored by New Belgium Brewing and Ben and Jerry’s on Wednesday, November 30 at Lincoln Hall. POW, a group working to raise awareness of the dangers of global warming, will have representatives on hand to explain their mission. There is a suggested $5.00 donation. Also coming up at Lincoln Hall, Chicago music scene veterans The Hemmingbirds will be doing a farewell show on December 29. They’ll be joined by Mutts, Archie Powell And The Exports, and Jesse W. Johnson. The Jigsaw Seen will be playing songs from their cold weather concept albums Winterland and Gifted at the Divebar in Las Vegas on December 9th. The band also has four California gigs coming up next month: Silverlake Lounge in Los Angeles on the 10th, Continental Room in Fullerton on the 12th, Whistle Stop in San Diego on the 15th, and Hotel Utah in San Francisco on the 17th. Tickets go on sale this Monday for Sting’s March 3 show at the Aragon Ballroom. A boomerang dream. Australian power pop outfit The Jangle Band has just released an extended version of the Edge Of A Dream album I reviewed favorably here on May 25 of this year. This one has five earlier bonus demo mixes that feature the writer of each as lead vocalist. Some are quite different from the versions used on the album. I’m hoping to post more about this in the near future. The Chicago Pop Culture Show And Sale takes place next Friday and Saturday, November 25 and 26, at the Pheasant Run Mega Center in St. Charles. There will lots of comics, toys, games, and memorabilia for holiday gift shopping, as well as special guests and cosplay. The event will also serve as a publishers and artists convention. Wilco will bring its Winterlude 2017 concert series to The Chicago Theatre on February 22, 23, and 25. Tickets went on sale this past Friday. Maybe he’ll be autographing coconuts. John Cleese will on hand when The Chicago Theatre offers a special screening of Monty Python And The Holy Grail on January 22. Tickets are going quickly. Just a short edition of Slumgullion this week because my wife Pam and I went to see the Music On Stage production of A Christmas Story - The Musical at Cutting Hall in Palatine last night. It’s a fun show with talented singers and dancers, including several kids. There’s a show tonight and then A Christmas Story - The Musical will wrap up its run next weekend. The Handcuffs, the Chicago-based band led by the wife and husband team of vocalist-guitarist Chloe F. Orwell and drummer Brad Elvis, will be introducing brand new guitarist Jeffrey Kmieciak when they perform as part of a triple bill tonight at Quenchers. This looks like a particularly fun evening. Sadie And The Stark—a “femme-rock, fantasy band for your soul, majoring in sci fi,” and El Gato Roboto, —“Bowie meets Nico, with songs about nostalgia, space and cats”—are the other acts performing. Congratulations to Dan Pavelich on the publication of his first book; a collection of strips from the first year of his Just Say Uncle comic that ran on the Universal Press Syndicate’s GoComics website. Pavelich is also a journalist and he performs with the power pop band The Bradburys. The book is available for pre-order on Pavlelich’s Indiegogo page. The Black Friday version of Record Store Day has yet to achieve the success of the original that comes in April each year. But Val's Halla Records in Oak Park, IL is once again going all out to commemorate day-after-Thanksgiving record hunting. 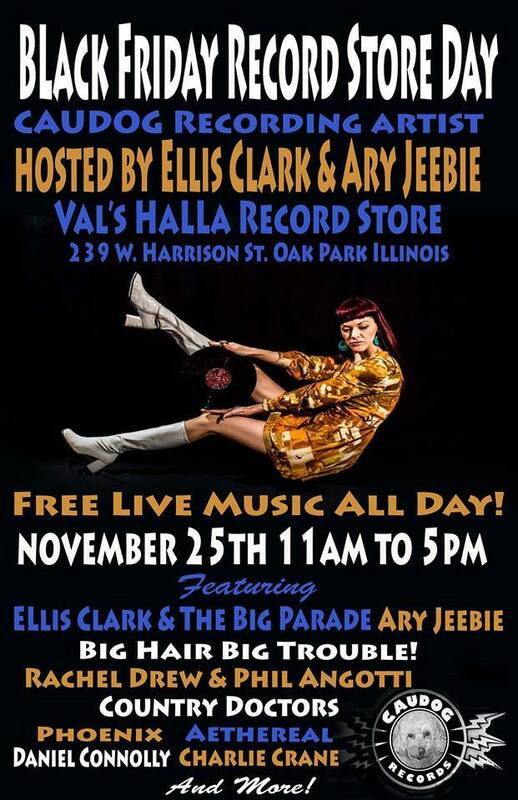 CAUDOG recording artist and Chicago music scene veteran Ellis Clark will be hosting a free event at the store from 11:00 a.m. to 5:00 p.m. with his band The Big Parade and special guest vocalist Ary Jeebie from the The Amazing Heebie Jeebies. In addition to his solo career, Clark has performed with Epicycle, Social Act, and The Handcuffs. Other guests scheduled for the Val’s Halla bash include Country Doctors, featuring Doug Cocoran; Phoenix; Aethereal; Big Hair Trouble!, Ary Jeebie’s tribute to 1960s and ‘70s country; Phil Angotti; Rachel Drew And The Bitter Roots; Daniel Connolly; Charlie Crane; and The Dyes. Val's Halla Records will be open from 9:00 a.m. to 7:00 p.m. on Friday, November 26. Other stores in the Chicago area will be taking part in Black Friday Record Store Day, so you might want to check in with your favorite one to see if there's anything special going on. The Bangles - Ladies And Gentlemen . . . The Bangles red vinyl edition of rarities previously released in digital and CD format; The Beach Boys - Becoming The Beach Boys 19-track LP of songs from 1961–1963 on red, blue, and yellow vinyl; The Cars -seven-inch “Just What I Needed”/“I’m In Touch With Your World” picture disc; The Kinks - Sleepwalker LP on black and white swirled vinyl and three separate seven-inch EPs; The Monkees - Good Times! Plus! ten-inch EP with four tracks that weren’t on the band’s critically acclaimed CD. 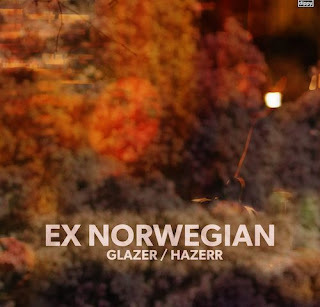 About a year ago, Ex Norwegian released Pure Gold, a masterpiece jumble of originals and cover versions that tapped into power pop, psychedelia, and indie rock. The Miami-based band’s latest effort Glazer/Hazerr isn’t quite as brilliant as its predecessor, but does succeed using a similarly eclectic blueprint. Singer-guitarist Roger Houdaille sets his unique observations to infectious melodies, and once again crafts some of rock’s most dynamic coed vocals with singer Michelle Grand. “Father Goose” is a silly fable about birds flying without wings, and “Ice,” another one of Houdaille and Grand’s enticing duets, is a basic but effective garage rock love song. “Life,” which offers some timely advice about overcoming obstacles and disappointments, sports a harder-edged arrangement. “Pocket Dancing” sounds like a show tune, while “Aruba Moon” has a slow, majestic feel reminiscent of 1970s classic rock. “Modern Art Brigade” delivers social satire in a very Kinks “Dedicated Follower Of Fashion” way and is backed by a fun, loping rhythm section. “Quite Contrary” follows a similar path but is more overtly psychedelic. There seems to be a definite Rubber Soul era Beatles influence on “Reverse,” a tale of unrequited love, particularly on the psychedelic guitar playing. On “Song Of Many,” Ex Norwegian creates a pure power gem, using a mix of acoustic and electric guitars, intertwined vocals, and an engaging melody. Renowned drummer Brad Elvis, who often tours as a member of The Romantics, has a gig next Saturday night at Quenchers Saloon with The Handcuffs, the Chicago-based band he leads with his wife Chloe F. Orwell. It’s a triple bill with Sadie And The Stark, billed as a “femme-rock, fantasy band for your soul, majoring in sci fi,” and El Gato Roboto, who describe themselves as “Bowie meets Nico, with songs about nostalgia, space and cats.” The Handcuffs have recorded three albums of catchy and inventive indie rock, and have had a number of their songs used on TV shows. Beer and The Beatles. Ron Howard’s Beatles documentary Eight Days A Week (I posted a review this past Monday) continues its tour of Chicago area venues. It will be screened as part of The Vic’s Brew And View series, starting this Sunday night, and running through next Thursday. Tickets went on sale today for Peter Asher’s January 15 concert at The Old Town School Of Folk Music. In addition to being half of the British Invasion duo Peter And Gordon, Asher is a sought-after producer who has worked with artists like James Taylor and Linda Ronstadt. I’ve seen him perform a few times in recent years, and he spins fascinating anecdotes in between performing songs with a first-rate backing band. The Hollies are giving fans a chance to purchase a Fender Aerodyne that has been used by current member Steve Lauri on tour. Anyone interested can contact the band via its Official Facebook page. Tickets also went on sale today for a Houndmouth show at Thalia Hall on December 30. Music On Stage is presenting its production of A Christmas Story The Musical at Cutting Hall in Palatine, starting this weekend. Patrons will be able to watch those dancing lamp legs through November 27. The Fifth Annual Chicago Book Expo takes place this Sunday from 12:00 to 5:00 p.m. at Columbia College in the south end of downtown Chicago. Expo events include a tribute to the late Roger Ebert, and a panel on Chicago music and books moderated by rock critic/radio show host Jim DeRogatis and featuring musician/comic artist Steve Krakow, Sally Timms of The Mekons. Congratulations to Mary-Arrchie Theatre on its production of American Buffalo being nominated in four categories for the 2016 BroadwayWorld Chicago Awards. All three performers—Richard Cotovsky, Rudy Galvan, and Stephen Walker—are up for Best Actor in a Play (Resident NonEquity); and Carlo Lorenzo Garcia is in the running for Best Direction of a Play (Resident NonEquity). Mary-Arrchie was also nominated for Best Ensemble (Resident) and Best Revival of a Play (Resident NonEquity). Cotovsky is currently performing in Raven Theatre’s staging of Betrayal; and Rudy Galvan is in the Gift Threatre Company’s production of A Life Extra Ordinary. Here he comes. Barry Sutton, who performed with the short-lived but never forgotten U.K. band The La’s, will be at Martyrs’ on Lincoln Avenue this coming Monday night. Chicago’s own mischievous Penthouse Sweets, veterans of International Pop Overthrow - Chicago, along with some friends will also be on the bill. Later in the week at Martyrs’, there’s a triple bill of Nice Motor—who have a pair of two cool new tracks in “Devils Handcuffs” and “Duck And Cover”— along with Even Thieves, and Blood People. The eclectic and entertaining Robyn Hitchcock will be at City Winery Chicago next Thursday night, with Emma Swift as his opening act. I was sad to hear the news that Robert Vaughn has passed away. I vividly remember a time when he and David McCallum, as Napoleon Solo and Illya Kuryakin respectively, seemed like the coolest guys in the world to me because of their lead roles on The Man From U.N.C.L.E. The remastered 25th Anniversary Edition of You And Your Sister celebrates an album that never found mainstream success but is highly regarded by indie rock critics and fans. Originally released by The Vulgar Boatmen in 1989, it’s a showcase for Robert Ray and Dale Lawrence, a songwriting duo that lived miles apart and collaborated by mailing cassettes to each other. On this impressive debut, the Indiana and Florida-based band switches back and forth between ballads and rock songs, while spinning one gorgeous melody after another. Ray and Lawrence’s descriptive lyrics set tales of romantic entanglements in picturesque backgrounds. The hard-edged “Change The World All Around” begins with the line, “Last night, I was standing in the driveway calling your name,” and the heartfelt “Decision By The Airport” has a spare but effective acoustic arrangement. The classic road song “Drive Somewhere,” which gave The Vulgar Boatmen a loyal following via extensive airplay on Chicago FM station WXRT, offers over five minutes of irresistible roots rock. The Vulgar Boatmen have a show coming up at Schubas in Chicago on January 7. 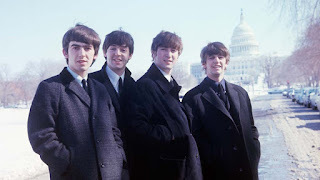 Ron Howard’s documentary The Beatles - Eight Days A Week - The Touring Years is being screened each night at The Gene Siskel Film Center in downtown Chicago through Thursday, November 10, and it’s also being shown at The Tivoli Theatre in Downers Grove. Packed with rare, vintage footage, it follows John, Paul, George, and Ringo through their early days of performing. The concerts, recording sessions, press conferences, backstage maneuvering, and hotel room banter vividly recapture what it must have felt like to be on one of the greatest thrill rides in recent history. Paul McCartney and Ringo Starr offer touching and informative commentary in recently filmed bits, while older clips of John Lennon and George Harrison provide their reflections on Beatlemania. Reporter Larry Kane, who reported on The Beatles while traveling on tour with them, adds a unique perspective, and Howard also taps Whoopi Goldberg, Elvis Costello, and others to share their memories. Eight Days A Week touches on the John F. Kennedy assassination, the civil rights movement, and the Vietnam War, while showing how The Beatles were affected by society, as well as how they changed it. Gradually, The Beatles grew less astonished by their worldwide popularity, and felt more imprisoned within it. By they time they performed at San Francisco’s Candlestick Park in 1966, all four of them wanted to skip the screaming audiences and concentrate on exploring new musical territory in the studio. At the Gene Siskel Film Center, Eight Days A Week is also being shown with the 30-minute documentary The Beatles Live At Shea Stadium. Seeing Howard’s documentary helps bring a deeper understanding of The Beatles’s 1965 show in New York. While their songs burst with guitar-driven energy and harmony vocals on this vividly restored footage, it’s now easier to connect to the very human emotions behind the superstars personas. The Red Plastic Buddha will rock Red Line Tap tomorrow night. 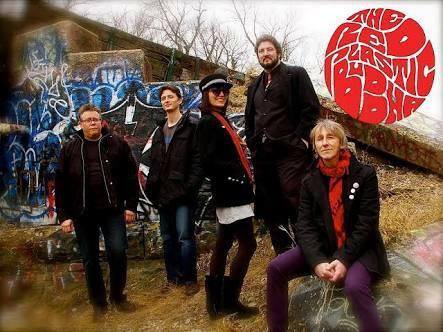 One of Chicago’s best psychedelic bands, The Red Plastic Buddha, will be bending minds at The Red Line Tap tomorrow. Dark Fog and Led Pig are also on the bill; the music starts at 9:00 p.m. The scariest thing going on around Chicago last Halloween weekend was the Cubs losing games three and four to the Cleveland Indians in the World Series. Meanwhile, entertainment venues probably had far less business than usual for the holiday, and a pall fell across the parties being held in people’s homes. All is forgiven now, as the Cubs went on to win the next three games and earn their first championship since 1608. Okay, 1908. To understand why this is so momentous, consider how many Cubs fans had not only gone their entire lives without seeing their team in a World Series, but had also watched what seemed like cruel twists of fate destroy Cubs teams during playoff games in previous years. Congratulations, Chicago Cubs. We can’t thank you enough. 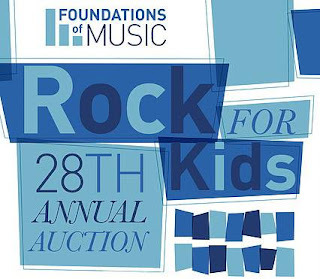 Foundation Of Music’s 28th Annual Rock For Kids Auction takes place tonight at Park West in Chicago. WXRT morning drive air personality Lin Brehmer will once again serve as emcee, and former XRT Program Director Norm Winer will receive the Foundation Of Music’s Crystal Brick In The Wall award from MTV VJ Alan Hunter. Attendees will also have an opportunity to bid on rare items donated by musicians, sports figures, and other celebrities. As noted by Adam Lukach in his Chicago Tribune column DO IT NOW, Pet Shop Boys will be performing at the Civic Opera House tomorrow night. Lukach also noted that Pet Shop Boys dropped a new album earlier this year. HoZac10, a celebration of the Chicago-based HoZac Record label’s ten years of offering cutting-edge indie rock, takes place tomorrow night at The Double Door on Milwaukee Avenue. Ten bands, along with a pair of DJs, will be performing on two stages, starting at 8:00 p.m. WXRT air personality Richard Milne offered a fascinating preview of this event on his Local Anesthetic radio program. 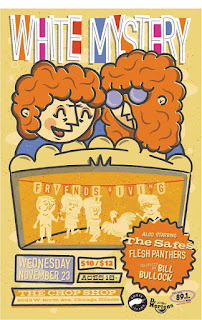 In addition to The Gories, Heavy Times, Mike’s Rep, The Sueves, The Yolks, DJs Erin and Jessie, Julian Leal Band, COZY, The Jeanies, 1-800-Band, and beastii, there may be special guests. Congratulations to Bono of U2 on being chosen as one of Glamour magazine’s Women Of The Year. An Associated Press piece quotes the publication’s editor Cindi Leive’s reasoning as, “There are so many men who really are doing wonderful things for women these days. Some men get it, and Bono is one of those guys.” No joke here. I just thinks that’s really cool. Van Go and Red Wigglers will be sharing the bill tomorrow night at Gallery Cabaret on Oakley Avenue in Chicago. Tom Lounges Entertainment, LLC is presenting Rockin’ For Critters, an evening of 1950s and '60s music tomorrow night at the Memorial Opera House to help homeless animals in northwest Indiana. Lounges, a longtime Chicago area journalist, publisher, and radio personality, with co-host the event with 1960s TV and film actress Charlie Smith. The Meet The Beetles tribute band and 1950s singing group The Spaniels Forever will perform, and there will be a silent auction. Tickets are $15 and $18, with a $2 service fee for each ticket. The Memorial Opera House is located at 104 E. Indiana Avenue in Valparaiso, IN. The doors open at 5:00 p.m.
Former R.E.M. bassist-vocalist Mike Mills will be performing his own “Concerto for Violin, Rock Band and String Orchestra” with violinist Robert McDuffie at the Harris Theatre in Millennium Park this Monday night. Tickets went on sale today for the 93XRT Goose Island Big Holiday Concert with Nathaniel Rateliff and The Night Sweats at Chicago Theatre on December 7. Also on sale today: Del Fuegos member Dan Zanes at City Winery on December 11; Regina Spektor at Chicago Theatre on March 24; and The Zombies at Thalia Hall on April 13. Vulgar Boatmen will be at Schubas on January 7. 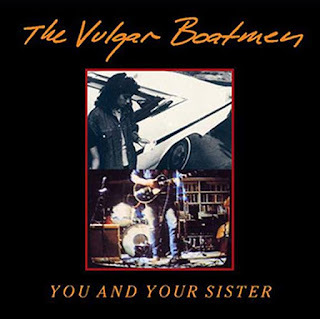 I’m way behind in covering albums, but I will be posting a review of the Vulgar Boatmen’s Remastered 25th Anniversary of their You And Your Sister album in the near future. The release includes three bonus tracks. The Blue Whiskey Independent Film Festival will be holding a fundraiser at 7:00 p.m. tomorrow night at Smith Street Station (next to Durty Nellie’s) in Palatine. Blue Whiskey, which holds an ambitious international film festival each July in the northwest suburbs, promises the fundraiser will have drinks, appetizers, raffles, a photo booth, candy bar, and a photo booth. Admission is $20. The Beatles - Eight Days A Week - The Touring Years, Ron Howard’s Beatles documentary opened a week-long run at the Gene Siskel Film Center today with a pair of screenings. It will be at the Gene Siskel Center through Thursday, November 10. The film will be paired with 30-minute documentary The Beatles Live At Shea Stadium. The Jigsaw Seen is enticing its most loyal fans with new compilation CD titled The Jigsaw Seen For The Discriminating Completist (Rarities And Singles 1989 – 2015). In addition to 12 tracks that have never been offered on one of the band’s albums before, the packaging includes a wallet-size photo in a resealable sleeve and a “Back To monocle” button. Finally, if you have Chicago friends on Facebook, check to see if they’re sharing any highlights from the World Series finale or the celebratory parade that was held downtown today. There are some amazing videos going around. Strange things happen when two cities that haven’t won a baseball championship in decades meet in the World Series. Rather than the usual hometown foods most mayors put on the line, Chicago’s Rahm Emanuel and Cleveland’s Frank G. Jackson went big time with their bets. And now that the Cubs have defeated the Indians, Jackson has to turn his city’s cultural crown jewel—The Rock And Roll Hall Of Fame—over to Chicago. If Emanuel had lost the bet, he would have had to find some way to ship Millennium Park off to Cleveland. Nothing has been planned just yet, but look for all those rock-related treasures and rarities to be on display in their new Windy City setting sometime in 2017. Okay, none of the above is true. But rock and roll fans in Chicago will have a chance to not only view, but actually own some cool memorabilia when the Foundation Of Music’s 28th Annual Rock For Kids Auction takes place tomorrow night at Park West. Attendees will have an opportunity to bid on rare items donated by musicians, sports figures, and other celebrities. WXRT morning drive air personality and Cubs fanatic Lin Brehmer will once again serve as emcee, and former XRT Program Director Norm Winer will receive the Foundation Of Music’s Crystal Brick In The Wall award from MTV VJ Alan Hunter. Tickets for Rock For Kids benefit can be purchased from Park West.